It was just a matter of time (cause we all knew it HAD to happen, right..!?) 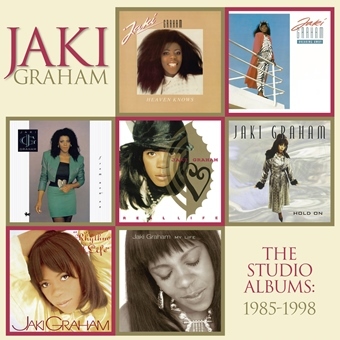 before some smart record company executive did it: All of Jaki Graham’s 7 albums recorded 1985 – 1998 in one nice box. Finally it’ s here! Step right up – the Jaki box is here! Jaki Graham (born September 15, 1956) burst on the scene in the mid-1980’s, and immediately placed herself in the front line of British singers. Her music was the much need vitamin shot for the 80’s: Soulful, danceable, well produced and extremely well performed! The Box includes these original albums: “Heaven Knows” (1985), “Breaking Away” (1986), “From Now On” (1989), “Real Life” (1994), “Hold On” (1995), “Rhythm Of Life” (1996) and “My Life” (1998). All of her great hits and best known songs are here, as well as a few pleasant surprises and at a total of 86 songs – this is a treasure chest! Anyone who ever set foot on a dance floor during the 80’s and 90’s have surely done some dancing to songs like “Could it be I’m falling in love”, “Round and round”, “Mated”, “Step right up”, “The closest one”, “Set me free” and “Ain’t Nobody” (her cover of the Chaka Khan song that hit no. 1 in the US Dance Charts). Also you get a whole bunch of very nice and soulfilled ballads – of which my absolute favourite is the stunning “The better part of me” (off the 1989 album). If you think that now I’m going to give you an overview of the different songs and albums, you’re wrong – I am hereby chasing you off to the record store (whether online or physical) to buy the box, because this one is not to be missed! And while you’re at the store, you should also get the one album that is not included in the box: Jaki’s great album of jazz and blues standards “For Sentimental Reasons” (2012). It is her last album so far, and while it stylistically is very different from the other seven albums, it does fill out the picture of what Jaki can do as a singer, and who knows – maybe a career in jazz is on the horizon. A great album, get yourself this one as well! 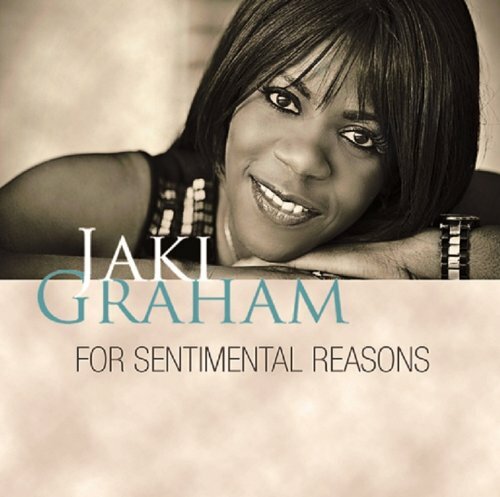 Jaki Graham is one awesome singer, and whether you wanna dance or just relax you are sure to find songs in her recorded legacy that will fit your mood at any time. It it usually considered an honour to get your collected works all boxed up. This time around the honour is bestowed upon the great Jaki Graham – very well deserved!